Welcome to Mexico Beach! Here, we are a small city in Bay County, Florida known for our blue water and sugar white sand. We've also got plenty more to offer however, and when you book with Emerald Coast by Owner, you can take full advantage of all of it. Aside from the gorgeous condos and luxurious homes you are provided with, they also come with convenient location, near the beach, local attractions, and great restaurants. Mexico beach is a true gem located along the "Forgotten Coast". Some of our most popular local attractions you simply can't miss out on are paddle boarding, golfing and the Mexico Beach Fishing Charters, you can go deep sea fishing and have the time of your life, maybe even catch your dinner! If you don't catch your dinner, we recommend a meal at Regan's Pub and Oyster Bar, full of great food and a cool scene you should not skip out on. Another great local eat is Mr. G's Smokehouse and Seafood Grill, serving delicious food all day and with great service! 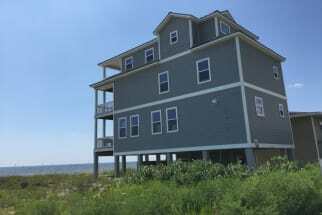 Emerald Coast by Owner is pleased to bring you the best Vacation Rental Properties by Owner in Mexico Beach. Browse our selection of Mexico beach properties below. Be sure to click the EMAIL OWNER button to contact the property owner directly about booking. The property owners will gladly answer any questions you have. Booking direct with the property owner assures that you are getting the best price for your vacation rental. 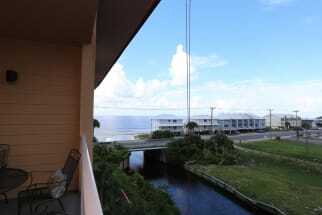 Book your next Mexico Beach, FL vacation rental online today with emeraldcoastbyowner.com!